The Vienna Riding Hall where the public can watch the stallions training and their performance. Imagine a span of 440 years … it’s a long time for something to endure. Yet, day by day in Vienna, Austria, a wealth of classical training knowledge has endured, passed from Chief Rider to pupil with patience and expertise for centuries. At the Spanish Riding School (SRS), the oldest institution of its kind in the world, horses and riders are trained to execute all the movements of the Grand Prix, and then some. 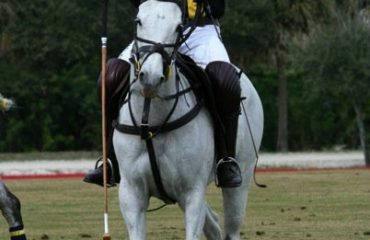 With patience and skill, over many years, instructors bring their stallions to perfection. Authors have written volumes about what it takes to reach mastery in anything, and how achieving it requires not only thousands of hours of deep practice but also having a rich understanding of the theory upon which the discipline is built. 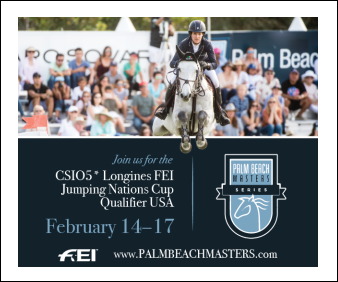 At the SRS, all the riders and horses are on the road to mastery, where performing becomes so harmonious it transforms the sport into art. 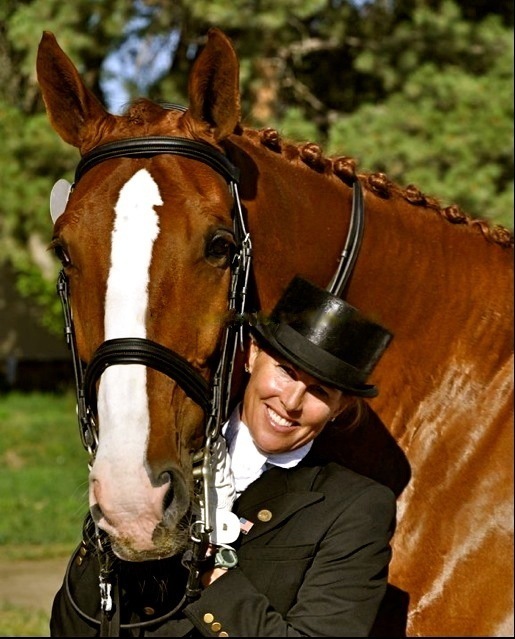 Suzie Haynes Hallé and her Dutch gelding Tennyson-ISF before a competition in Colorado. But how exactly do they do it? Have you ever wondered what it would be like to be a student there? In fall 2013, I had a chance to go. As the first person in North America to be awarded, and to attend theoretical training at the Spanish Riding School (thanks to the Heldenberg Fund from The Dressage Foundation and the Ralph Dreitzler family who established the grant), I’m able to share with you some of what I learned at the amazing SRS. I traveled by car to Piber in beautiful Vienna, where the mares, foals and young horses live, to the Heldenberg training center and to the Vienna performance and training center. I completed two courses given by the knowledgeable, talented, charming and exacting Chief Rider Andreas Hausberger: Training of the Young Horse and Work On the Long Line. Our small group from all over the world was treated to demonstration rides, PowerPoint presentations on the history of the school and the theory behind the training, and to behind-the-scenes tours of both centers. We attended a wine baptism in Lower Austria where their best red wine was named after one of the school’s rare bay stallions, (a bay Lippizan is considered good luck). I attended an outdoor performance by the SRS riders at the Opening Gala for the Vienna Masters where I also got to see a CDI **** as well as stadium jumping. I got swept away in the Vienna Opera House listening to a performance by Jose Carreras; put 440 years of history into cultural perspective through museum tours guided by my friend, an exhibition manager; tried the famous Sacher cakes in fabulous coffee houses; and arranged for a lunge lesson that took place at a private facility where one of the SRS riders led me through a series of exercises to improve my rider position. 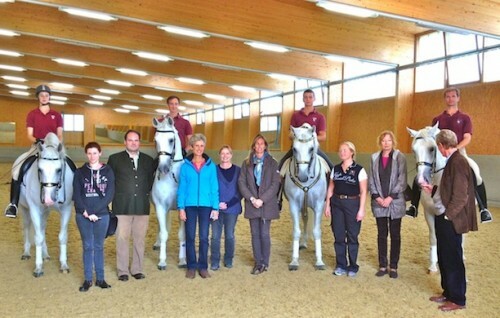 Suzie stands amongst Spanish Riding School riders and stallions in the indoor arena at Heldenberg with fellow students from Belgium, England, Norway, Germany and Austria. 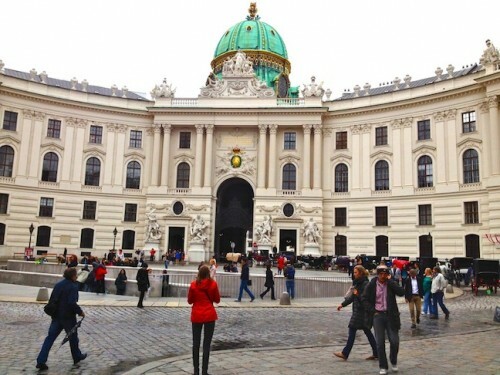 Why call it the Spanish Riding School when it’s located in Vienna, Austria? The school was named for the Spanish horses that were used in forming one of the bases of the Lipizzan breed, which is the exclusive breed used at the school. Lipizza, now called Lipica, was one of the original studs used to develop the breed. Located near Trieste in modern Slovenia, it’s from this Lipizza stud that the Lipizzan breed was named. Today, 72 stallions reside at the school. The horses are bred near the village of Piber at the Piber Federal Stud. The Habsburg Monarchy named the school in 1565, and the beautiful riding hall was commissioned in 1729 by the Emperor Charles VI. A portrait of Charles VI hangs in the performance hall, and without fail, every time riders enter, they pay honor with a salute to this painting. 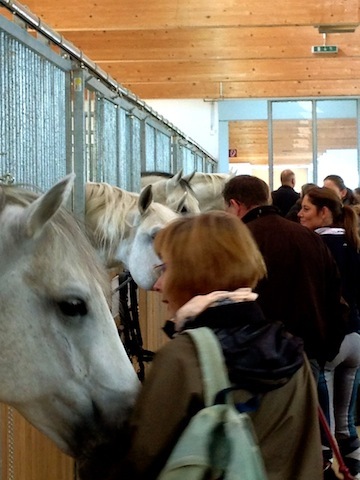 The white riding hall is open to the public to watch the stallions’ training and performances. Our group was ushered into the stables, where we visited the horses, master saddler, grooms, tack rooms and the upstairs former living quarters where we all received our certificates in a graduation ceremony. Of the 20 riders, one assistant rider and three eleves are women. An eleve is a rider who’s been admitted (from hundreds of applicants) to the school for a three-year training and vetting period, which concludes with acceptance (or not) into the school as an assistant rider. In addition to these four, the school’s managing director is also a woman. The riders are given titles based on their experience: first chief rider (Wolfgang Eder), chief rider (Andreas Hausberger), riders (12), assistant riders (2) and eleves (4). SRS riders learn to develop that elusive harmony with the horse that we all strive for through a combination of discipline and training. The training evolved to today’s level much in the same way any art form does – by borrowing, modifying and adapting over time from the founding influences of classical training greats such as Xenophon, Eumenes (Alexander The Great’s assistant), Frederico Grisone (16th century) Antoine de Pluvinel and finally to François Robichon de la Gueriniere. François’ attention to the horse’s mind, body and spirit was of greatest importance. He introduced the counter canter, shoulder-in, (the mother of all two track work) as well as today’s modern dressage seat. François created a new saddle specially designed to fit the needs of this modern/”new” seat. It’s François’ training methodology that the Spanish Riding School adheres to today. After her first day, Chief Rider Andreas Hausberger and Suzie pause at the Heldenberg training facility before heading to the tea room. Developing that beautiful seat requires many, many hours. 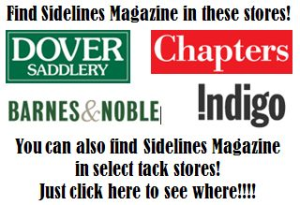 In the first three years of training, an eleve receives a 30-minute no-reins lunge lesson six days a week – almost 500 hours in the first three years dedicated exclusively to rider position! 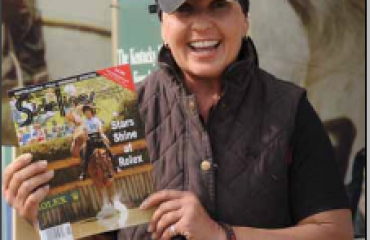 In addition, all the riders including the eleves school between five and nine stallions a day, six days a week. The training methods are tried and true. 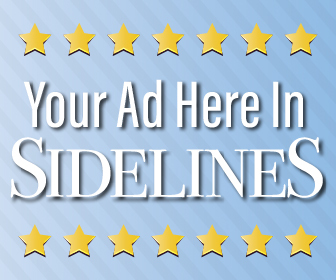 Riders and eleves train under a chief rider or older/more experienced riders. Nothing is left to chance. Nothing is rushed. Rewards with sugar, voice and pats for the horses abound. 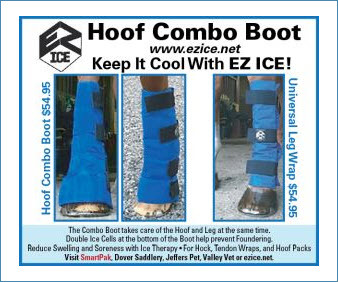 Special pockets are even sewn into the inside back flaps of rider coats so sugar can be rewarded within the required four seconds to make it meaningful to the horse. The stallions and riders are proud, confident, happy and willing. My experience taught me that the goal of classical training of the horse is to teach them how to use their entire musculature through tried-and-true gymnastic movements, introduced at specific times with proper use of equipment and rewards. I learned that the goal for the classically trained rider is to develop a proper seat that allows the horse to execute the most difficult movements with ease, balance, lightness and confidence. My takeaway is that only through proper development of the two can true harmony and mastery be achieved. The lasting impact of this experience has been inspiration! 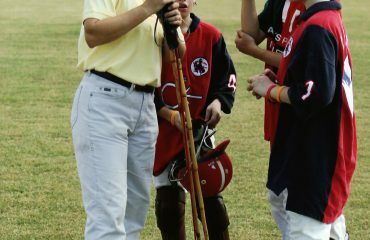 I saw the riders and stallions implementing deep practice, as described by authors in The Talent Code, Outliers, Mastery, The Rise of Superman and the like. I learned that nothing can be rushed and there are no shortcuts. I understand the importance of classical riding theory education, having had a taste of it myself. It was wonderful to see stallions that are so sweet and kind, with respect and genuine fondness for their riders. The same was true for the riders toward their horses. My experience affirmed that we have a responsibility to our horses that, if done well, our partnership with them can be one of the most rewarding journeys of our lives. Sweet and loving stallions greet students in Heldenberg. I returned home more inspired than ever to find a way toward that ultimate goal where sport becomes art. I couldn’t wait to see my horse and have a go at what I’d learned, and to work hard with my trainer to make progress on our goals this year: to develop greater thoroughness and improved rider position. 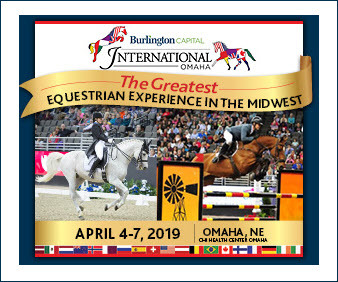 I want to thank the Dressage Foundation, the Spanish Riding School and the Ralph Dreiztler family for allowing me this incredible learning opportunity. Without a doubt, the Spanish Riding School houses some of the world’s greatest equestrians from whom we can all learn a great deal if given the chance. About the writer: Suzie Haynes Hallé is an Adult Amateur Bronze and Silver medalist, and half way to her Gold. She caught the riding bug at age 3. Through the years, Suzie received formal training in equitation, jumping and cross-country and has experimented with the hunt, but eight years ago absolutely fell in love with dressage. Suzie has been a team rider writer for Barnby Notes, co-founded the Cherry Hills Village Equestrian Association, blogs for Horse Collaborative, has written articles for The Centaur publication, is serving her second term as VP of High Plains Dressage (RMDS Chapter), is an active driver with her registered therapy miniature horse and is the first North American grantee to travel to the Spanish Riding School for theoretical training seminars. She resides in Colorado with her incredibly supportive husband of 26 years and their three wonderful children. 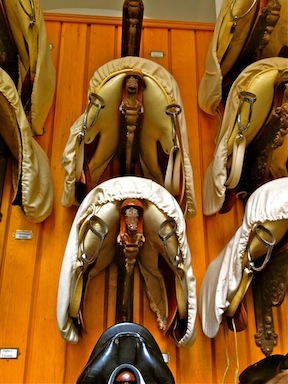 The ceilings are so high in the Vienna tack room, a specially designed saddle fork is used to retrieve the highest saddle .